In this episode, we hear from Mal Bundey, CEO & MD of Pact Group Holdings Limited. 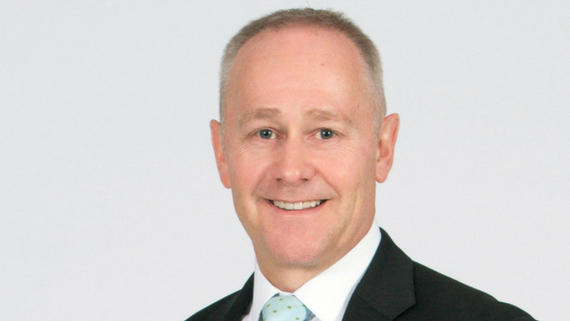 CEO of both Graham Packaging and Closure Systems International (CSI), a combined US$4.8bn global rigid packaging, closures & equipment company owned by The Rank Group. Mal was previously a Partner at Deloitte in Corporate Restructuring and Management Consulting, spanning over 16 years from 1987 to 2003. The thing I learned from Deloitte as a firm, and I would say it's consistent across all those firms, was that not only do you have to be independent, you have to be seen to be independent, your personal reputation is everything and you can lose it in a heartbeat. I think this really sets a great foundation for how you do business and how important your word is, how important your ethics are, how you operate, how you treat your people and how you treat your customers. I worked for a number of partners and senior managers who were very adept at getting to the nub of the issue within a business quickly and then working out what the decisions were. Those decisions even when they were hard are still the right decisions and you have to take them. So I think you learn a bit of a hard edge in that environment. The other thing I learned with the time in the insolvency field is speed. You've got to make your decisions and you've got to be able to move fast and have the courage of your convictions. How do you do that without making a mistake? Well, you make mistakes. I had a couple of people tell me once, if you’re confronted with ten decision points and you make none, you got 10 wrong. If you make 10 and you get two wrong, you're batting at eighty percent. So you're much better off than making no decision. It also teaches you is that you've got to get the facts and the data to make those decisions. It's not about being reckless for time’s sake, but it does put a focus on not wasting time. Having great people around you, working for you, as well as people above you and other people in the firm who you can talk to is really important. Just act like a partner. If you act like a partner, you'll finally become a partner. You've got to start thinking strategically. You'll start thinking process. You've got to start thinking, how can I add value to the company, to the organization and until you go through that process, it's very difficult. What advice would you give someone who's stuck in their career and can't seem to get ahead? Take a risk. I moved into a couple of different divisions within Deloitte as opposed to staying in the one spot. If you get stuck in a rut somewhere, then you've also got to be prepared to actually get up and move. As Chair, (to really understand my business) I had a visitation plan around the sites and the factories to go and walk the floor, talk to the people, the plant managers, visit the customers. I think you triangulate all of that data, not because you don't trust your people, but I think you're a better leader if you understand what the real issues day-to-day in the trenches. When I meet with my team, and I have a weekly catch up with each of them, the thing we talk about is people, how is the team, what am I seeing, what are you seeing? Then customers, and we'll talk about quality delivery and service and then operations, which generally is around safety and then operational performance and cost. It's not necessarily about a micromanaging because you're not necessarily telling someone what to do, but you’re discussing the issues, seeing where you can help and bring the resources of the group to bear if needed. If you're asking questions in those areas, that means that your team are looking at it and they're learning that those things are important in the part of the business. And if they're not looking at it, you can soon tell. You start to triangulate that if, if turnover goes up or if you're reading exit reviews and people are leaving because there's a lack of communication, then you start to zero in on those areas when they start to come up. So you have areas that you look at. And for me the people side of it is just so critical and then that tags into safety and then quality and delivery for your customers. How can leaders stay focused and work on the right things? You get a blank sheet of paper and write what are the five things that are going to move the dial for you? And they should be the only five things that you let get in your diary. You should be able to spend a third of your time on the business operationally and what’s happening in the business, a third of your time on customers and with customers and a third of your time thinking strategically about what's the next step, where do I need to be taking the business next? What am I looking for in a member of my executive team? They've got to have leadership skills, they're going to have energy, high energy, and they're going to know how to make a buck. How they describe themselves, how they describe their leadership style? How would your boss describe you and your leadership and personal style? How your people describe you? What questions should every leader ask themselves every day? How are you making a difference? Are you bringing your A-game because everyone sees leaders walk around and what I say to my team is, if you walk around with your shoulders slumped and look like you're down in the dumps, and it might be because of a totally obscure reason, people are going to worry about what's wrong with the business. You've always got a responsibility to be up and about and deal with your private stuff privately, deal with any doubts you have privately, but you've got to lead ALL the time. What is a final message of wisdom and hope you think is vital for the next generation of executives? Don't compromise on how you do business, but be relentless and ruthless within those realms of making sure you get a result. We're all here to get a result. You've still got to stick to your knitting and run your business and don't forget the basics, cash flow, profitability and getting stuff done.